11 oceanfront cottages and suites nestled on the shore of Salisbury Cove, just minutes to Acadia National Park & 5 miles to downtown Bar Harbor, and views of Frenchman's Bay! 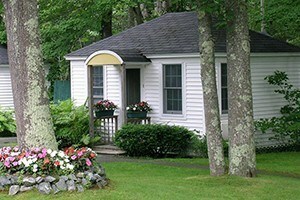 Vacation rentals on or near the coast of Maine in the Acadia National Park region at A Bit of Maine. 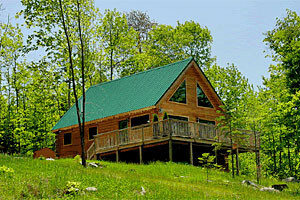 Choose from a large selection of unique cottages and homes like this. Million Dollar View! Custom-built home boasting breathtaking views of Acadia National Park, with ocean views. Wooded setting just 1/2 mile from downtown Bar Harbor! 6 unique Bar Harbor Maine waterfront cottages nestled along the shore of Frenchman's Bay. All minutes away from Acadia National Park, Northeast Harbor, & Southwest Harbor. 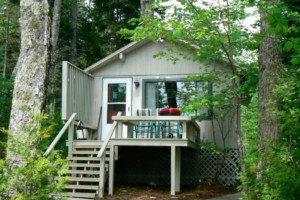 Enjoy our two waterfront cabins in a peaceful, secluded setting near Acadia. Relax on 55 acres of woodland with 4,500 feet of lake frontage on quiet Great Pond in Franklin. 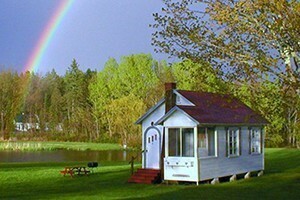 Cottages & Motel accommodations on 25 beautiful acres! 5 minutes from Acadia National Park. Amenities include private pond, fishing, peddle boats, private 1 mile nature walk. Waterfront vacation rentals on beautiful Mount Desert Island, near Acadia National Park. All cottages on, or with views of the ocean in Bass Harbor or Southwest Harbor. 8 seaside cottages ranging from 1 - 3 bedrooms, with kitchens, appliances, gas grill, wifi, & everything you need for a complete Coastal Maine vacation! Book today! 6 rustic cottages on a wooded ridge above the village of Southwest Harbor. 5 minute walk to shops, post office, library, restaurants, playground, & Island Explorer Bus Stop. 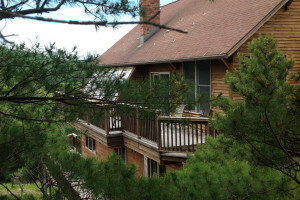 These two beautifully decorated vacation homes offer the guest topnotch amenities, and are located just a short distance from Acadia National Park. Pet-friendly! Just a five-minute drive from Acadia and ten minutes to Bar Harbor. A vacation cottage in Salisbury Cove with two bedrooms, loft for the kids. Discover a vacation beyond compare when you stay in one of these incredible townhomes, villas or in the manor house. Endless amenities. Secluded two-bedroom cottage with marvelous views. Enjoy a private pebble beach. Fully equipped kitchen with all modern appliances. The idyllic Maine vacation. The only campground on the west side of the island. Enjoy magical sunsets and all that the island has to offer form your camp spot or cabin. A camping haven in the heart of the Maine woods! Minutes from the gates of Acadia bring your RV, tent, car camp or enjoy a Camping Cabin with all that Acadia has to offer. Enjoy cozy nights in cottages while taking in the sites of Acadia National Park during the day. Within walking distance of kayaking and ocean breezes. Relish the great view from your private cottage or two-bedroom apartment here in Bass Harbor, Maine. Discover this island of such beauty! The quiet side of Mount Desert Island provides amazing vacation fun. Stay in these cozy cottages within a forested setting. A mile from the beach. This comfortable cottage is nestled in the forests right next to Acadia National Park. Gas BBQ, microwave, washer and dryer, refrigerator, gas wood stove. Appreciate the ideal Maine getaway in an oceanfront cottage or lovely guest room overlooking Penobscot Bay. Explore the extraordinary beach. Private seaside porches. This marvelous Maine cottage overlooks blueberry fields and is near two public beaches and boat launches. Fully equipped kitchen and much more. 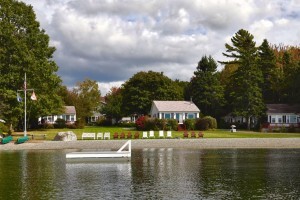 Waterfront cottages located on beautiful Frenchman's Bay in Bar Harbor, Maine and near Acadia National Park. 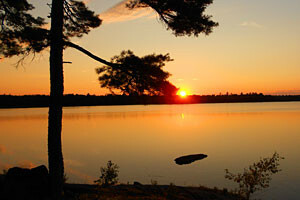 Waterfront campground located near Acadia National Park, Bar Harbor & the Schoodic area of Acadia. One of the most beautiful ocean views overlooking Cadillac Mountain. This waterfront cottage provides unspoiled beach to enjoy and idyllic views of the ocean. On Union River Bay discover a Maine getaway like no other. Great cozy cottages overlooking Somes Sound. Enjoy the nearby Mount Desert Island sights, marvel at the views. Close to Acadia National Park. Stay within walking distance of downtown Bar Harbor in a beautifully appointed four-bedroom vacation home. Stone patio, deck and barbeque. Surround yourself with nature. 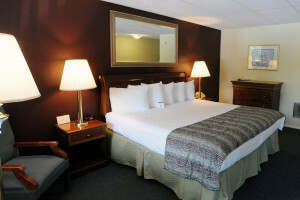 Close to Acadia National Park, you will find your dream lodging at Hummingbird Suites. Take advantage of the fully equipped kitchen, enjoy the barbeque grill. 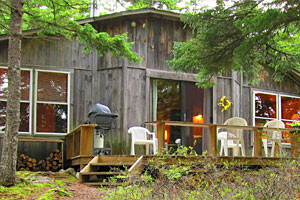 Surrounded by quiet pine groves, these cabins and cottages are just a mile from Acadia National Park's Visitor Center. Views, heated pool, screened porch. With hundreds of rentals available, you'll locate your ideal lodging for a fantastic Acadia National Park vacation. Many locations such as oceanfront, lakefront or wooded. Located on the shore of picturesque Graham Lake in Ellsworth, about 45 minutes from Bar Harbor, take your pick from 9 housekeeping cabins. Two apartments at the tip of a peninsula in Bass Harbor, ME. Rent one or both, stroll the dock, watch the sun rise and set on the water from your deck, and relax. Find a large selection of seacoast vacation rentals on or near Mount Desert Island. Cottages, townhomes, A-frames. All with convenient amenities. Choose a cozy cabin, rustic lodge room, Bed and Breakfast suite or one-bedroom apartment for your Maine stay. Enjoy Acadia and surrounding attractions. Featuring tent sites, RV sites with hookups and cabins. 2 bathhouses available with free showers. Camp store with coffee daily and laundry facility on site. Shop for the perfect Schoodic Point vacation rental. Cottages, apartment or home - find when they are vacant and book your Maine vacation. Your perfect Maine vacation is right here! Find a secluded cottage or an oceanfront cabin with incredible amenities and services. Many styles and sizes available. Acadia National Park is in your backyard and it's a one-block walk to the ocean. These two and three-bedroom vacation rentals offer many special touches. Have a captivating Mount Desert Island vacation at these wonderful efficiency cottages and motel rooms. Close to Acadia National Park. Swimming pool, wireless Internet, more. Enjoy oceanfront views and superb amenities in these quiet cottages on scenic Blue Hill Bay. The ideal Maine vacation with nearby activities for all ages. 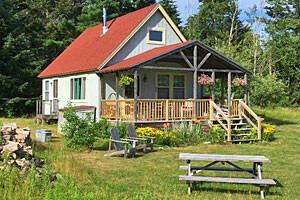 This pet-friendly cottage is just one mile from the Acadia National Park Visitor's Center. Year-round lodging. Cable TV, lawn, a full deck and much more. You couldn't ask for a better location for your Maine getaway. This three-bedroom home is nestled in a lovely forest. Wraparound deck and enclosed porch. You'll get a wonderful view of Western Bay. Plenty of wildlife and birds all around. 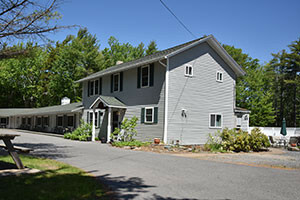 A comfortable cottage with fully equipped kitchen, bedding, linens, towels. Rustic shore front housekeeping cottages located on Mount Desert Island close to Acadia National Park and Bar Harbor, Maine.